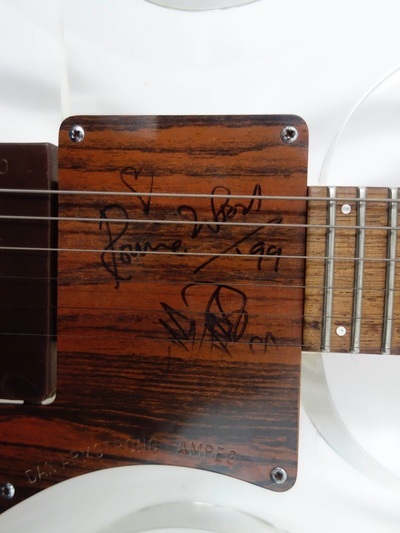 July 2015 - here's an early Dan Armstrong with some very cool provenance - signed by Keef and Ronnie! Don't know how much the signatures on the pickguard are worth, but the seller is asking $3k... Can't be too far off, but doesn't seem to come with any other pickups (just the CB) or the OEM case. 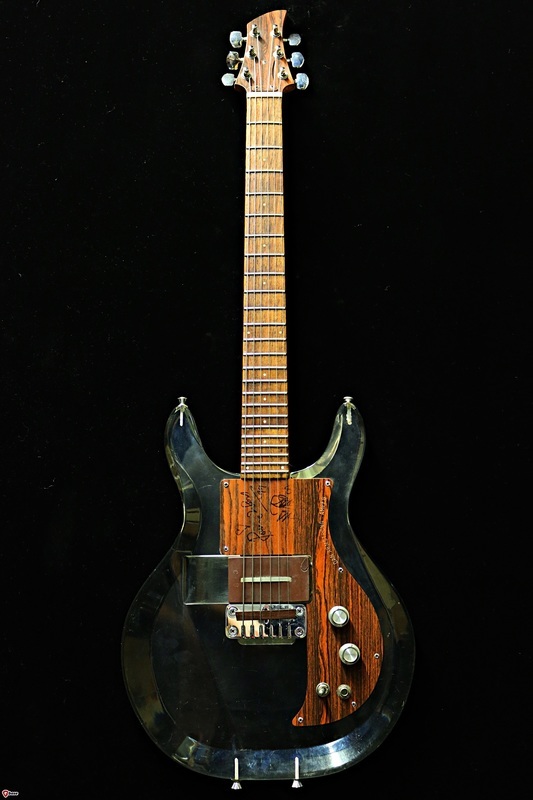 "1969 Ampeg Dan Armstrong A625D a piece of history and a memorabilia it has been signed by Keith Richard and Ron Wood in 1999... unfortunately over the years some friends wanted to try it and the result is that there is only half of Keith's signature left :( Well it is still an amazing guitar to own in your collection very rare. 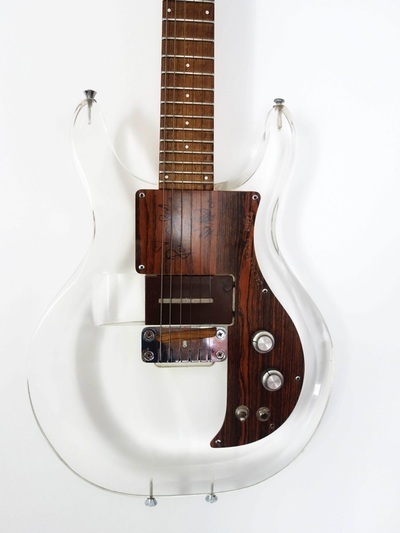 I do not have the original case. Previous owner add an extra strap pin to the lower cutaway horn." 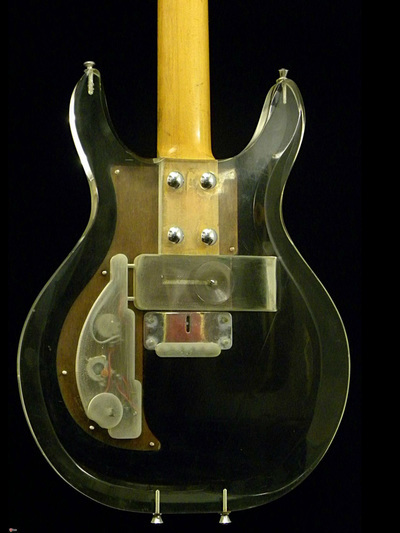 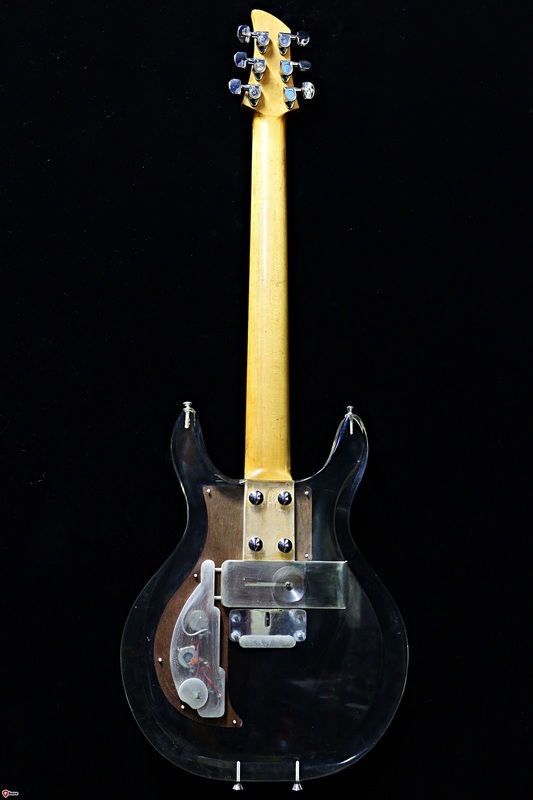 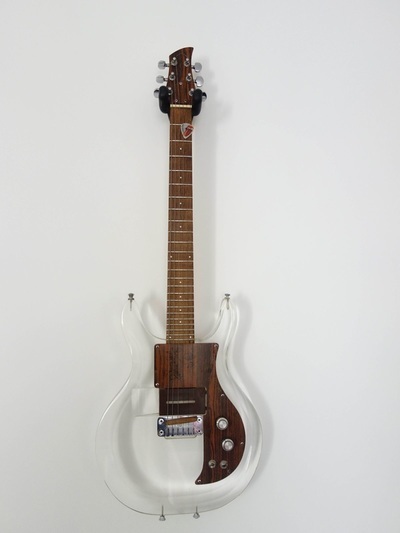 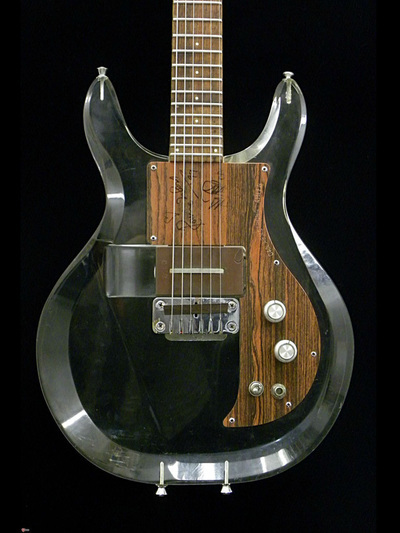 "Guitare Collection presents this beautifull Ampeg Dan Armstrong Plexiglas from 1969. 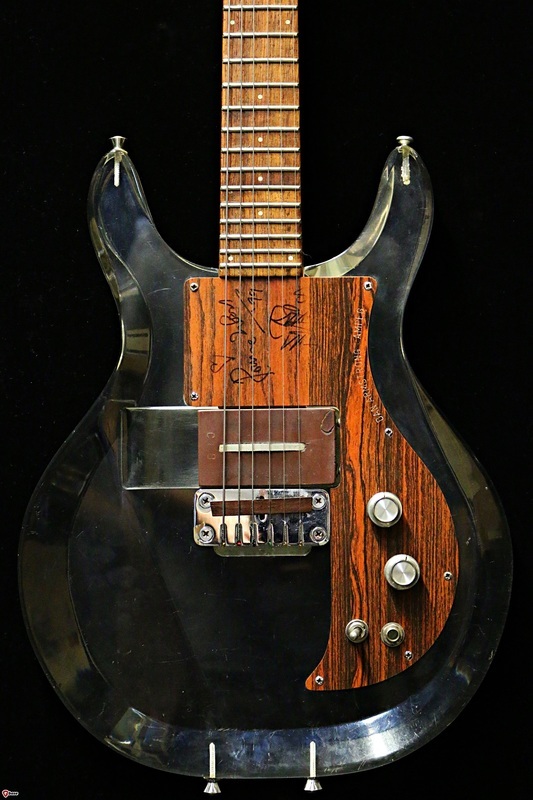 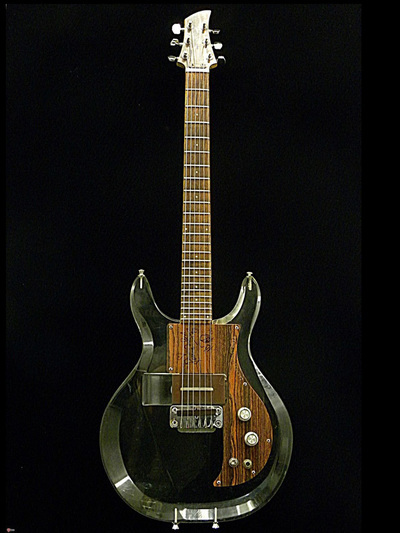 This is one of the few guitars designed and built by Dan Armstrong beetween 1968 and 1969 in the shop in Greenwich Village he shared with Bill Lawrence. 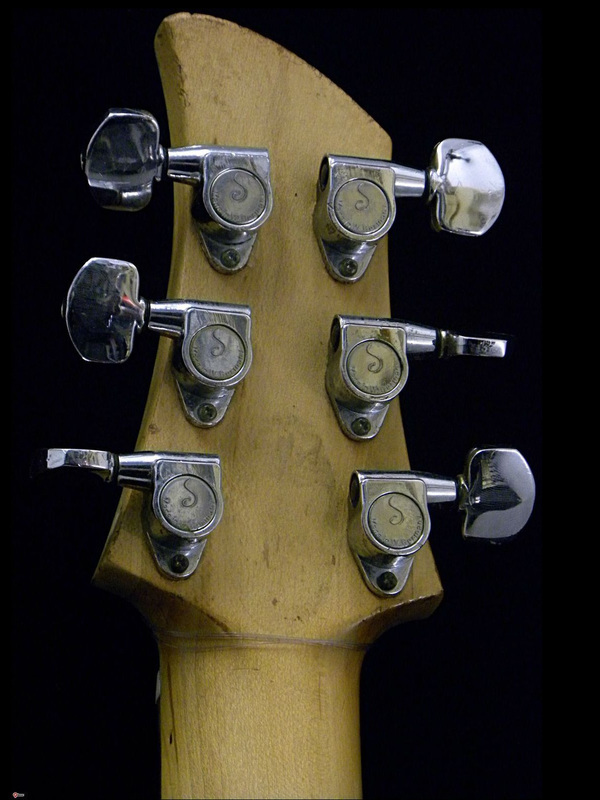 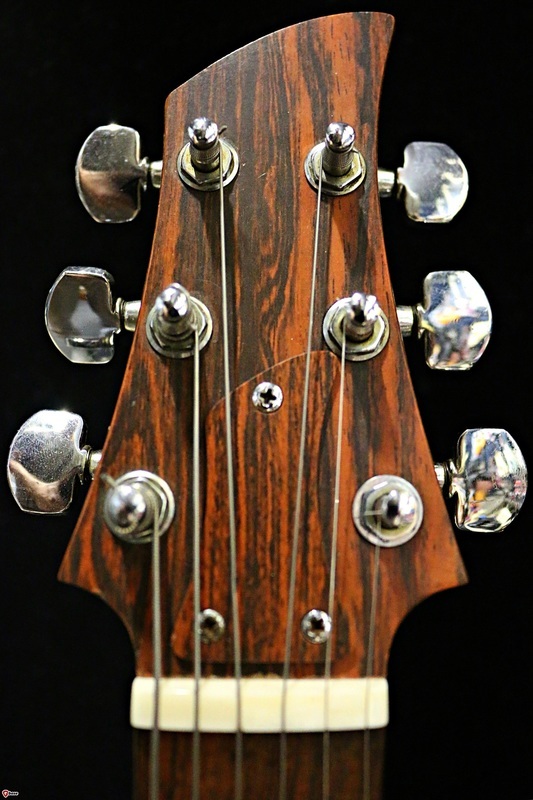 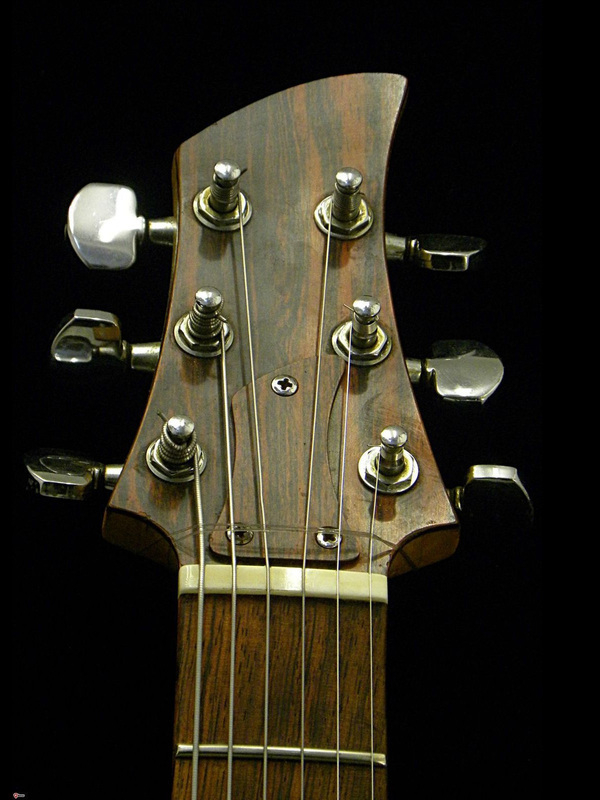 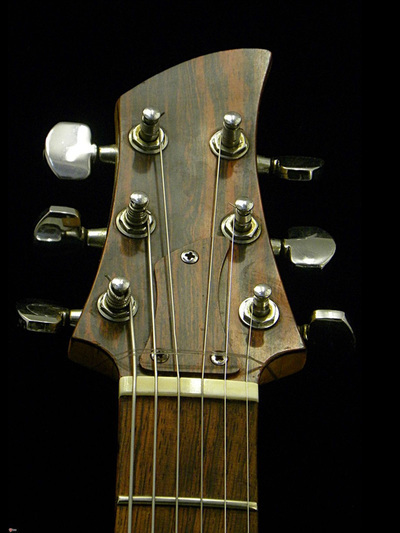 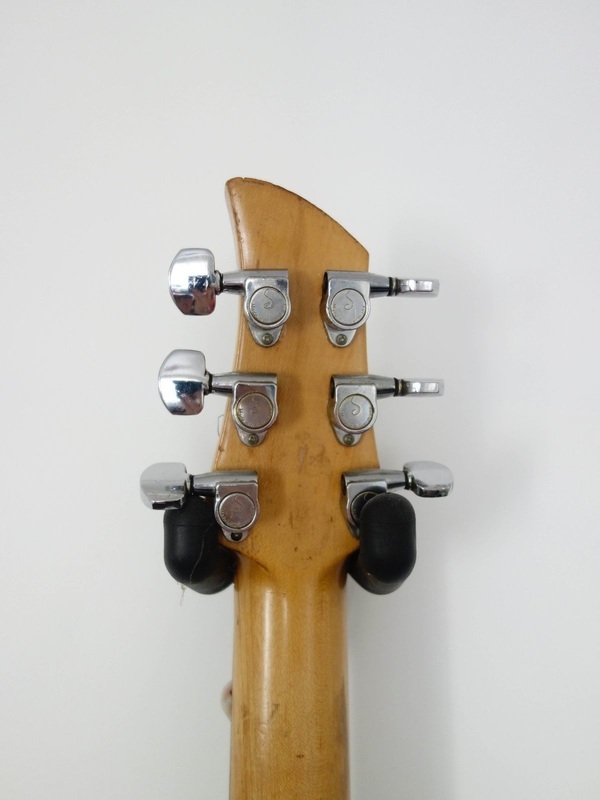 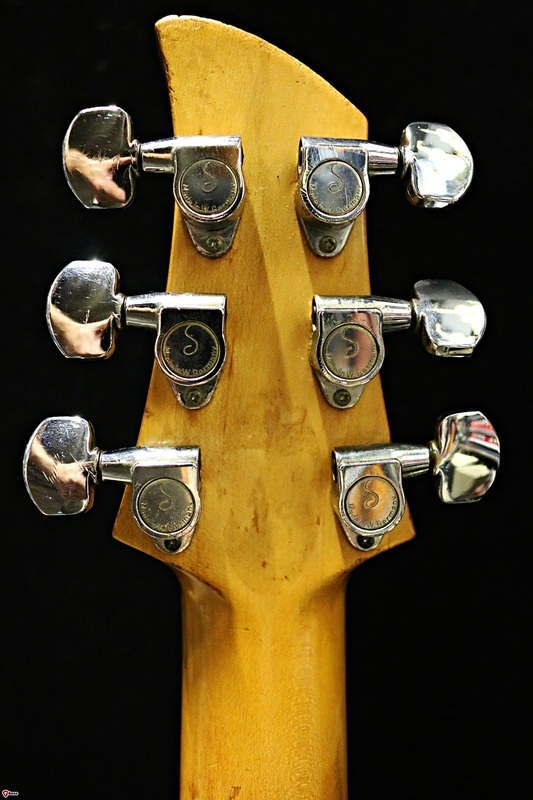 This very Dan Armstrong is very easy to play after the perfect setup by our luthier. 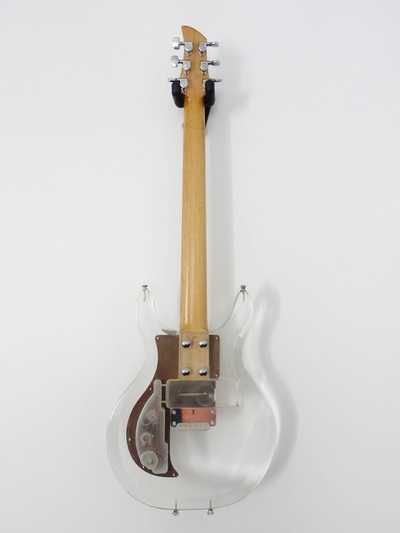 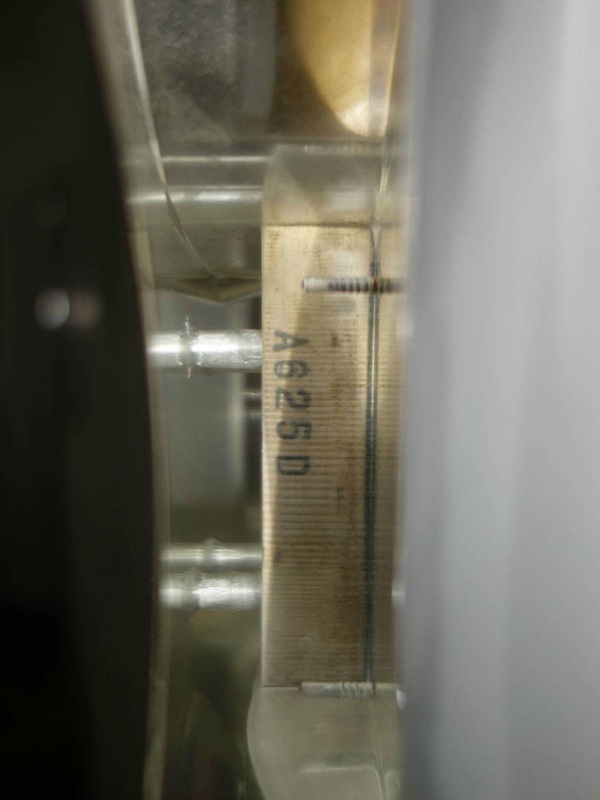 It offers amazing sounds with its legendary sustain (due to the plexiglas). In 1999, The Rolling Stones played a gig in New York. The first owner of this Ampeg got to meet Ron Wood and Keith Richards backstage, and signed this original 1969 Dan Armstrong. 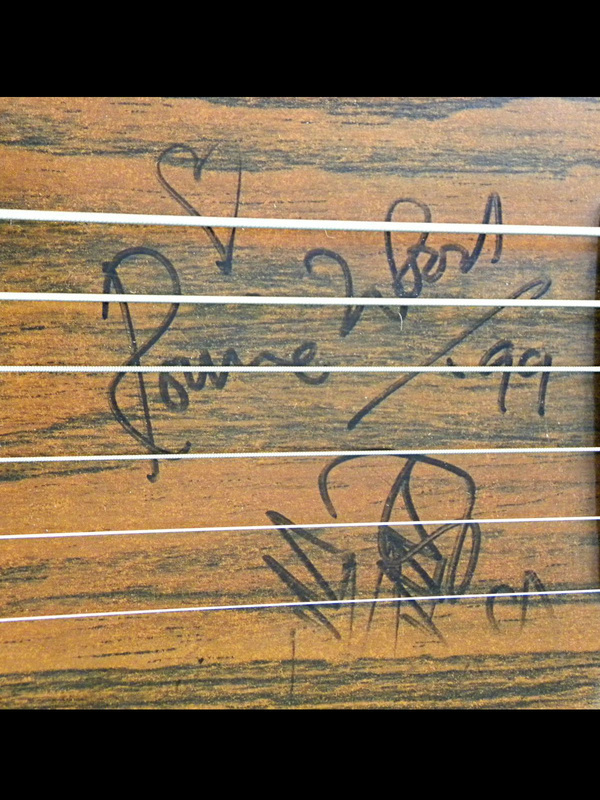 This is a lengendary guitar, signed by two legendary guitarists. 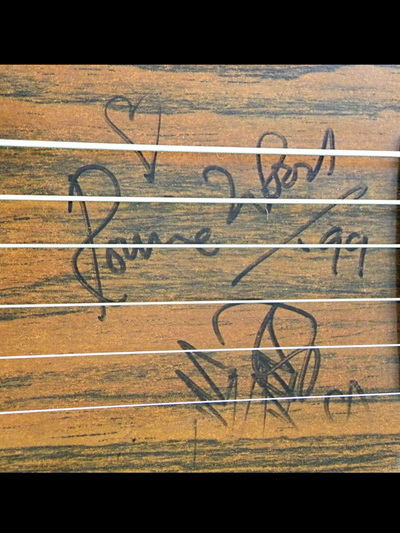 Exclusively at Guitare Collection, Paris !"